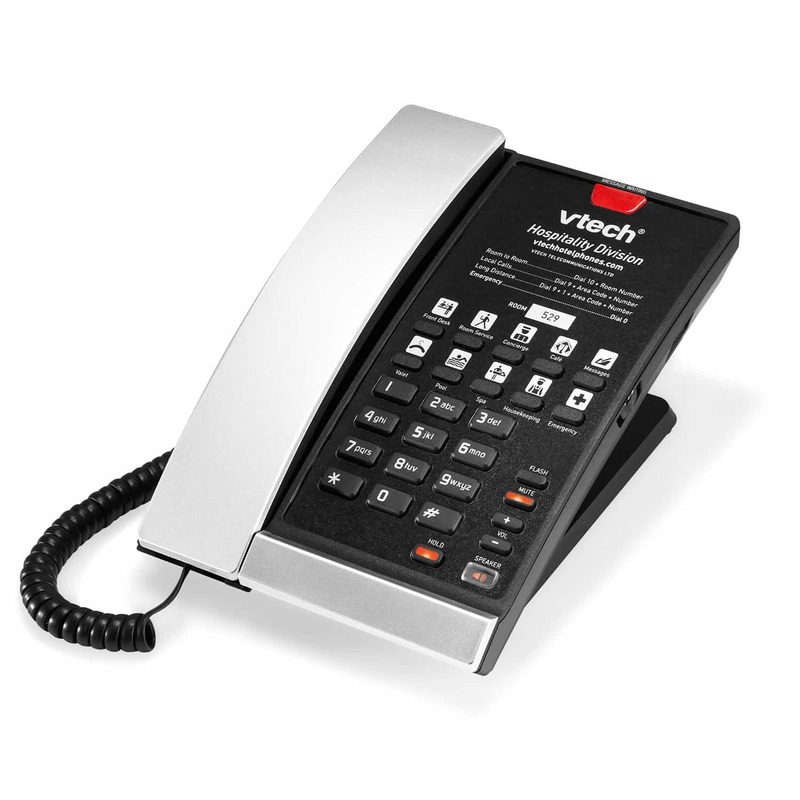 A modern addition to any guest room, this one-line analog phone features corded comfort, elegant styling and antibacterial plastic. Also available in Matte Black and Silver & Pearl. A modern addition to any guest room, this one-line analog phone features corded comfort, elegant styling and antibacterial plastic. Since it’s line-powered, your guests can always stay connected—even during power failures.